currently in preconstruction at 6398 Silver Avenue, Burnaby. The development is scheduled for completion in 2021. Sun Towers 2 has a total of 194 units. 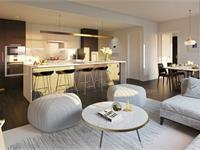 Metrotown’s most anticipated condo offering, located directly across from Metrotown Skytrain station. This exciting 26-storey sanctuary boasts a private members Solaris Club, where you can enjoy 24,000 sf of unmatched pool, fitness and exclusive entertaining space. 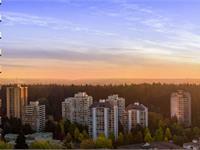 The Centre Of It All - Beresford St and the Maywood neighbourhood are the residential heart of Metrotown. Located on Silver Avenue, directly south of Tower 1 in the quiet residential confines of the Maywood neighbourhood, Tower 2 is a 26-storey tower featuring 194 homes. An Investment in Location and Luxury, it will be conveniently positioned directly across from Metrotown Skytrain Station. Offering much more than a home - a luxury concierge service, daycare, and 3 floors of amenities. Individual in-home heating and air conditioning, Bosch appliances including natural gas cooktop. Your inquiry will be delivered to the Sun Towers 2 sales team, who will send you more information about this development.